Who WOULDN'T love having a new set of car accessories? 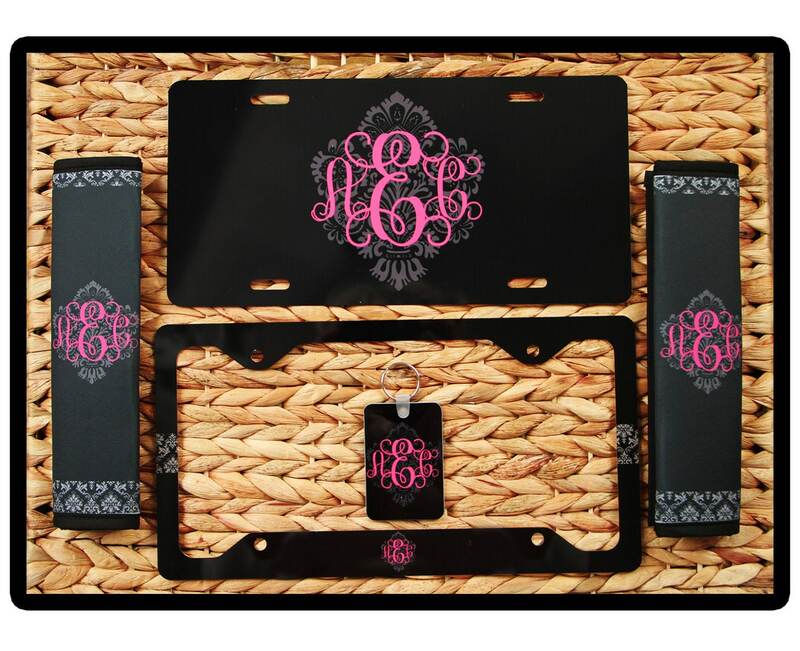 Our custom monogrammed License Plates, Plate Frames, Key Chains, and Seat Belt Covers make the perfect set! 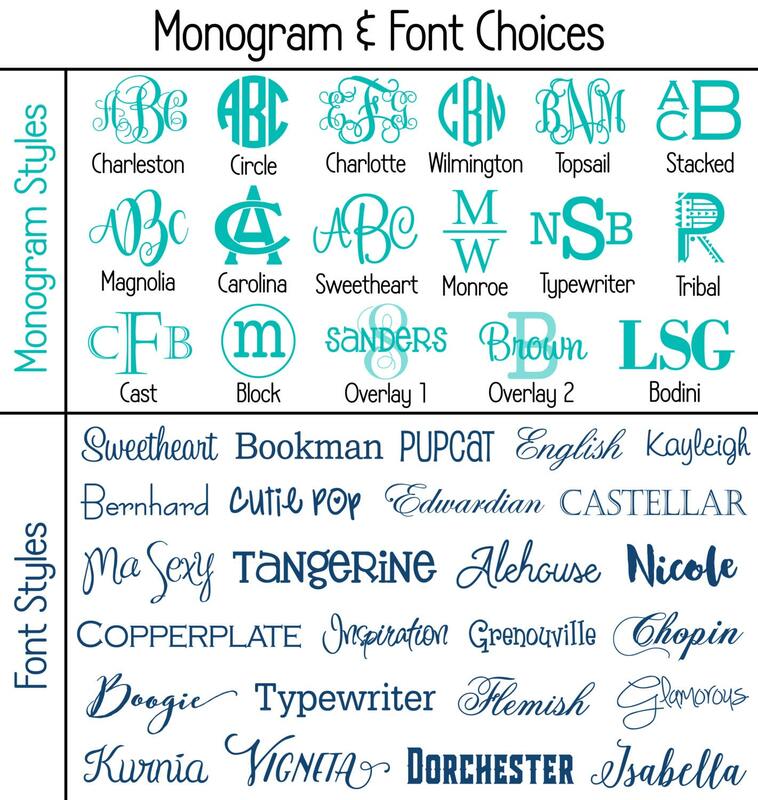 Monogrammed car accessories make thoughtful and unique Sweet Sixteen, Mother's Day, Father's Day, Christmas, Hanukkah, Valentine's Day, Anniversary, Graduation, and birthday gifts. Or treat yourself to a new set for your own car! You can select the whole set by choosing the last option in the drop-down menu. If you would like to mix and match the items that you would like, you can select the items individually from the drop-down menu, and add each to your cart, until you have everything that you want in your custom set. And the best part is YOU get to design them! 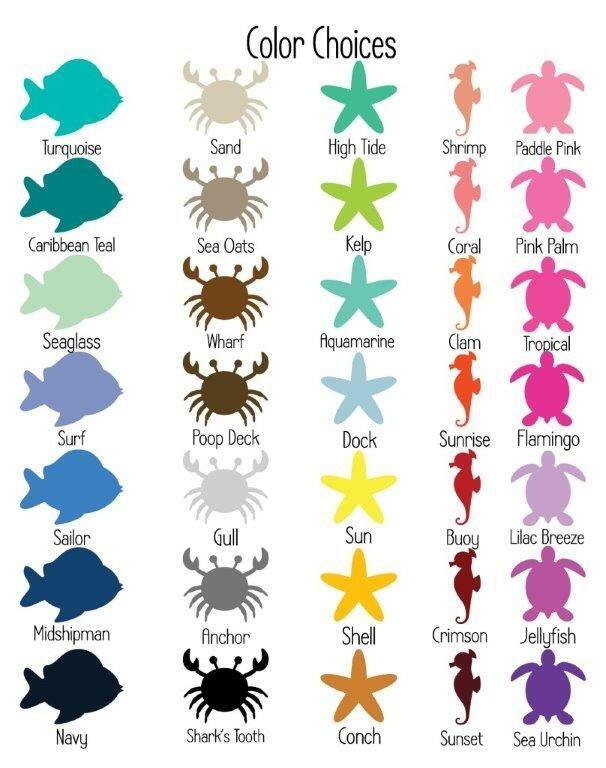 You may use the color and pattern charts attached OR you may use any of the designs from other Chic Monogram items. If you have a question that you don't see answered below or in the FAQs, feel free to send me a message. :) I look forward to hearing from you! If you want the same exact design as in the listing, simply write the full name for the monogram in the “Add a note to Chic Monogram” section as you are going through the checkout process. And that's it! We will send you a proof VERY quickly and at that time you may make changes until it's PERFECT! -Any design that you see on another one of my items can be used for your custom item. -Any design element (pattern, frame, text, etc.) can come in any color you would like. -I can make any of my other items to match this design! See my list of car accessories below. -You DON’T have to have a monogram on these items. If you don’t want a monogram, simply write “No Monogram” in your design instructions. -There is no limit to the number of letters or characters you can use. -Since License Plates & Plate Frames are the same exact price, they are also interchangeable. Just let me know if you would like to substitute one for the other. -License Plates and License Plate Frames are made of the highest quality white gloss aluminum metal. Your design will be sublimated directly into the license plate material itself for the brightest and longest lasting color available! -License plates and frames are of a durable thickness, at .03” thick. -I don’t use vinyl decals on my license plates. I will heat press your custom design into the license plate material, so that there is nothing to peel or fade. -License Plates are designed with a versatile fit for all vehicles. -Seat Belt Covers are made of Neoprene, with bound black edges and a Velcro enclosure for easy adjustment. Your custom design will be sublimated into the fabric, for the brightest and longest-lasting color. -Key Chains are made of Fiber Reinforced Plastic (a thick, heavy duty plastic material), and are double sided. 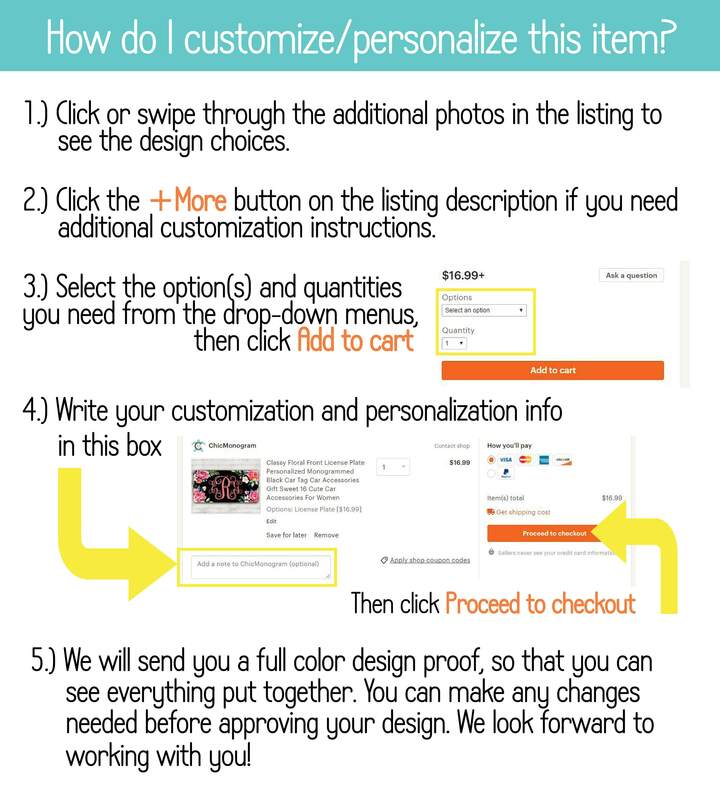 Thank you so much, and I look forward to helping you create the PERFECT personalized present!